Ahead of the Xbox One Slim and Project Scorpio's launch, the base Xbox One model has had its price slashed. Just one month after the cost of the original Xbox One was cut down to $299, the system is getting yet another price cut. Microsoft has announced that while stocks last, you can pick up all 500 GB models of the Xbox One, including the Gears of War: Ultimate Edition, Quantum Break, and Name your Game bundles for just $250. The move comes ahead of the Xbox One S's launch, which will happen on August 2, where it will be sold for $399. "Treat yourself to a great deal this summer!" 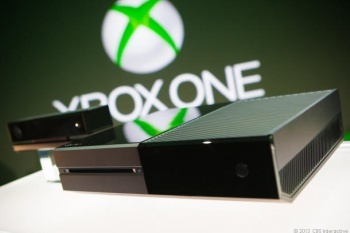 wrote Microsoft in a blog post "Xbox One 500GB consoles are now only $249 while supplies last." This is likely being done in order to clear out as much of the old stock of consoles as possible, to make room for both the Xbox One S and the upcoming "Project Scorpio".